As long as I am writing about calendar days, it occurs to me that, not only are we passing the middle of the month of January, we are essentially heading into the second half of our long winter. There are several ways that I can gauge this. 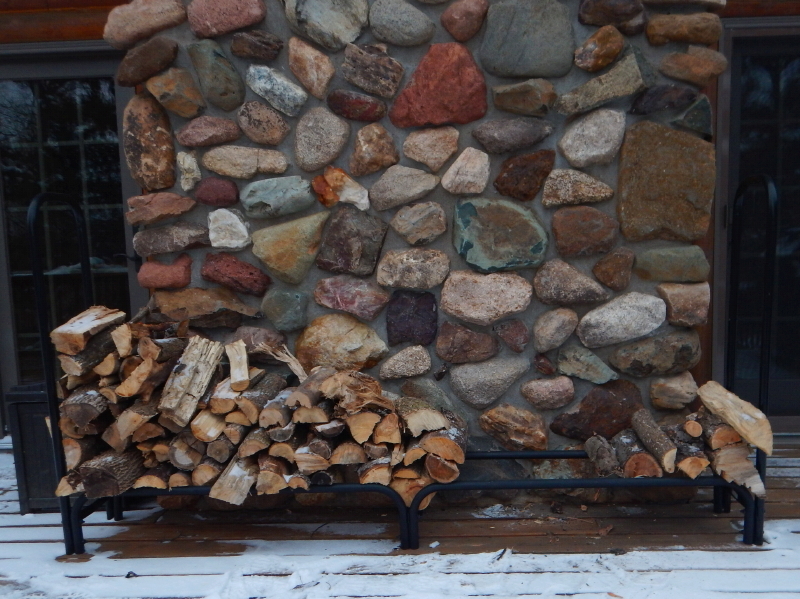 We have almost devoured the first full rack of firewood that we stacked on the deck. We are about halfway through the hay stored in our hay shed. We have filled just over half the space where we store composting manure during the cold months. In terms of weather, this weekend we are due to receive the coldest blast of Arctic air of the winter. There are warnings posted about dangerous wind chills on Sunday through Monday morning. After we get through this, it is expected to warm up to El Niño-driven-warmer-than-usual temperatures for this time of year. I’m okay with that. Even if I live a long and healthy life, by conventional standards, it is reasonable to think that I am past the middle of my years on this planet. I am growing more satisfied with mild weather than I was in my younger days. I checked the level of propane in our big tank yesterday, to make sure we don’t need to order more yet. It is less than half full, but there is enough to get through the winter at the rate we use it. I have a sense of being on the downhill side of things, which provides an impression things should be easier. We get to coast. Look at the trend line of the oscillating minimum temperatures recorded in the Twin Cities in my lifetime. If this keeps going, I could live during a year when temperatures here don’t even dip below zero. That would seem like coasting through a winter. In my advancing years, I think I will enjoy the ride. In the mean time, bring on today’s deep freeze.